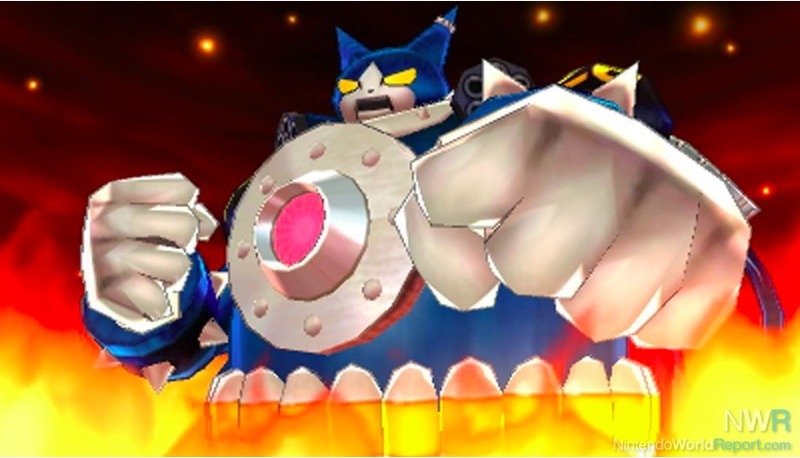 Protecting the world, one evil Yo-kai at a time. There have been various films that have gained massive success over the years, from classics like Casino Royale to more modern movies like La La Land. With such popularity comes others who wish to ride on their wave of success by creating a parody of that film. Quite often the parody offers little difference between itself and what it’s parodying making it feel more like plagiarism than anything else. However, there are some notable ones that are able to stand on their own while only parodying some parts of their source as to not saturate the game. Yo-Kai Watch Blasters (known as Yo-Kai Watch Busters in Japan) is one such game that was able to be completely original while also borrowing some aspects of their source, Ghostbusters. The game opens up to a bottom-of-the-barrel team of Blasters suffering another cowardly defeat. While relaxing from another ‘difficult’ day of protecting the weak, they are interrupted by members of the Blasters Association, who come to whip the weak Blasters into a team that will strike fear into the fiercest of Yo-kai. They are resilient at first but slowly become more determined to improve themselves. Will our heroes be able to become the best of the best or will they remain as bottom-of-the-barrel blasters forever? There are three main modes: Patrol, Story, and Big Boss. Patrol allows you to explore an area you have already visited in the story. 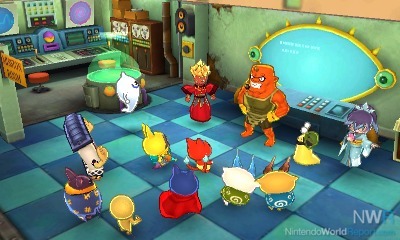 While on patrol you can collect items, obtain Oni Orbs, take on mini-quests, and befriend other Yo-kai. Story basically allows you to progress through the game’s story and access new areas. 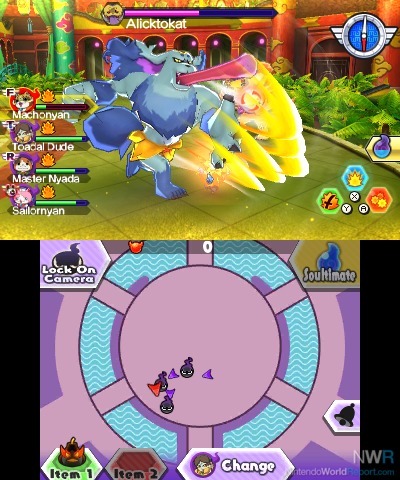 There are also side quests that can be completed while in story mode that will provide the player with rare Yo-kai or special items. Finally, Big Boss allows you to challenge stronger versions of bosses you have defeated in story mode and obtain better rewards. There’s also a co-op mode that allows you to take on any of these modes with friends in local co-op or with anyone online. There are a variety of different Yo-kai to be collected each with their own strengths, weaknesses, abilities, and rank. However, they are mainly categorized into four main groups: fighter, tank, healer, and ranger. Fighters deal lots of damage to opponents. Tanks are meant to take hits and defend their allies. Healers assist wounded allies with their recovery magic. Rangers use their unique attacks to overwhelm their enemies with debuffs or other nasty abilities. There are a number of differences between Blasters and the main series games. Most notable is that rather than consisting of a team of six Yo-kai, Blasters limits it to a team of four. Also, the combat system is very different as the main series would have individual battles that trigger when you came in contact with an enemy while Blasters has you fight them in the overworld. Keeping to the theme of battles, Blasters also has you manually input attacks of the character you’re controlling rather than automatically attack as seen in the other games. Finally, the way Yo-kai level up and evolve has been changed, allowing you to fuse and evolve Yo-kai regardless of current level and Yo-kai now level up only when given Oni Orbs. Gameplay is fluid, and having moves easily combo into each other and the ability to quickly switch which team member you’re currently playing as to much more efficiently complete challenges feels great. 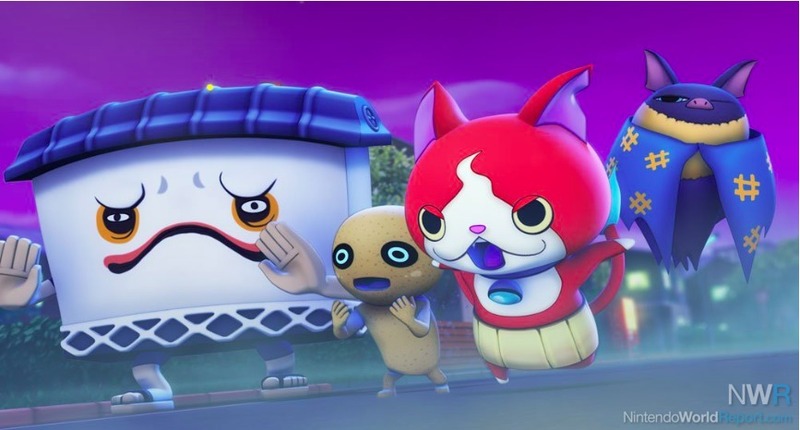 I also appreciate that Yo-kai you befriend will match your current level regardless of where you befriend them (unless you’re playing earlier story missions or obtain from Crank-a-kai as their levels are capped) as it makes them much more accessible to the player not forcing them to grind Oni Orbs to use their new Yo-kai. While I didn’t find any serious flaws with the game, there were some aspects I found annoying. One of the main ones was the frequent tutorial dialogue that would pop up when a new feature was introduced. While most were useful, there was no way to skip them and some would go on tangents about an easy to use feature. What annoyed me the most was how for certain parts there would be too little explained. For example, there's one tutorial that mentions upgrading the facilities in the hub and hints to how to obtain your first upgrade, but then onward, you have to guess what is required to upgrade the others. It becomes quite tedious and frustrating.